Tired of word games? 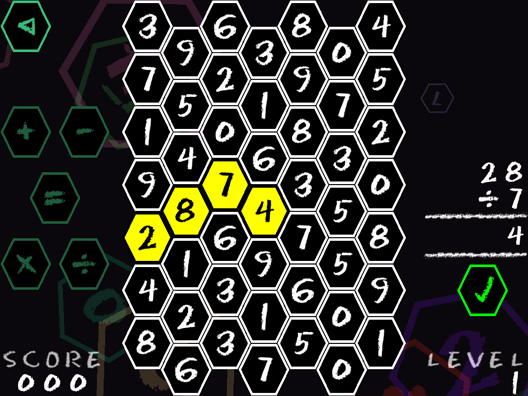 Then test yourself on a fiendish maths-based puzzle game. Link numbered tiles together using add, subtract, multiply and divide operators to form equations, and collect points for each correct equation entered. 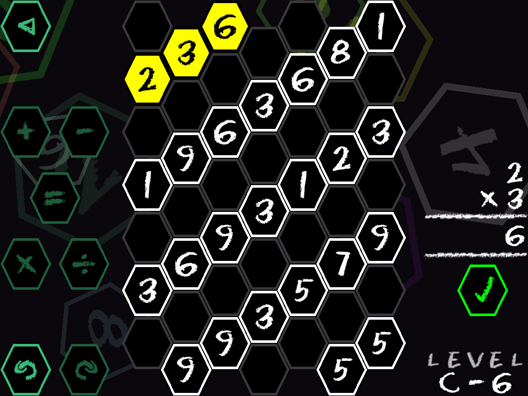 Be careful though, as if a tile isn't used for too many turns it will be removed from play, limiting the choices for your next equation. 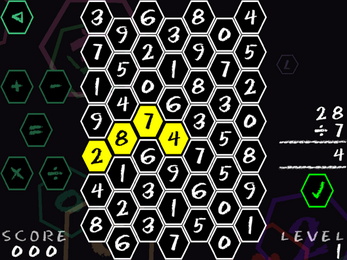 Or test yourself against the 56 pre-built puzzle grids, where the aim is to remove all the tiles from play. No time limits, no cute animals or animations to break your concentration, simply a test of logical brain power. Sometimes you have an idea in your head which you just have to do, just because. 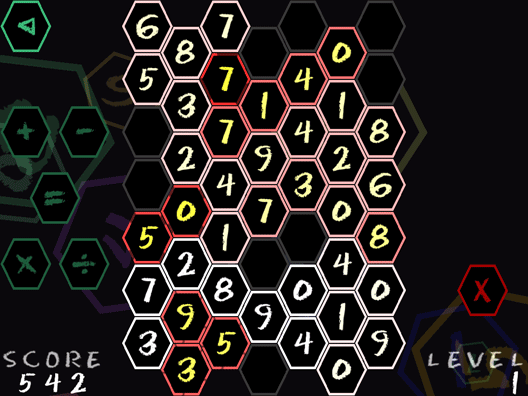 The idea for Equates has been kicking around for the last five or so years, and started development around two years ago. About nine months ago it found itself running on my aging iPod Touch, and now, after a change in development from a native XCode game to the Unity platform, I've finally finished it. There are so many games involving the arranging of letter into words - Scrabble being the most famous - but very few about numbers, and I've always been far better with numbers than letters. Those games also often include time limits or other devices to pressure you into making a move, and often lots of animations and cuteness, all of which I find distracting. 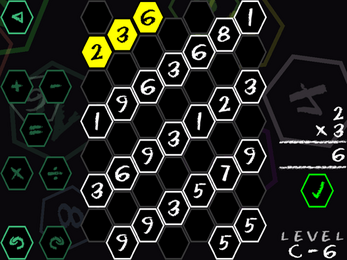 So this game is unashamedly quiet, with nothing really to distract you from thinking about your next move. It's a bit different to what I usually do, for a start it's for a modern device, but it never really suited the ZX81 or Spectrum - although both could easily run it - as I felt it had to be played on a touch device. I may do more iOS titles in the future, it just depends on the ideas, but hopefully the next won't take as long!